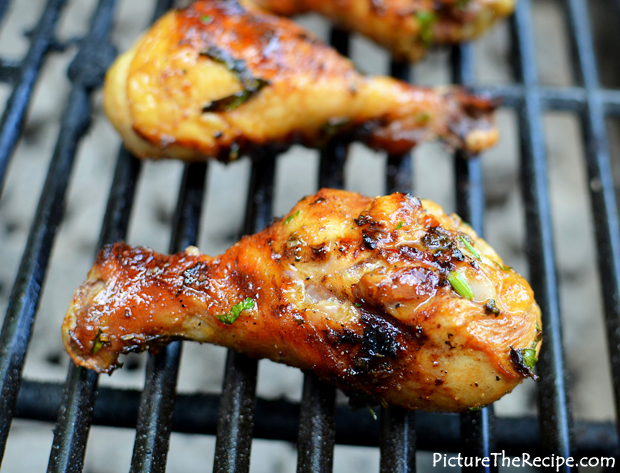 I love me some grilled chicken and this recipe is a perfect example of how you can get creative while grilling/barecuing instead of making the plain ol’ burgers and hot dogs (not that they aren’t good). 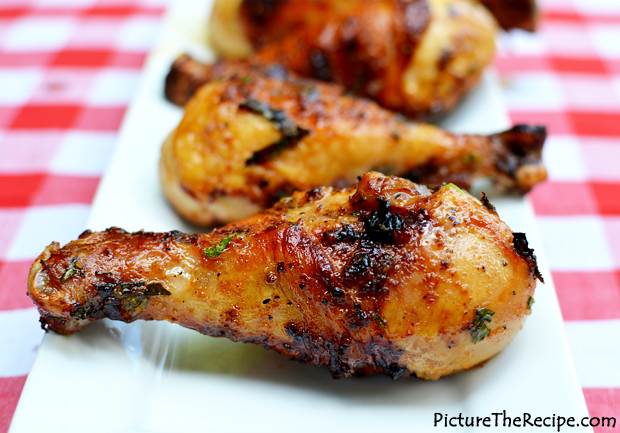 Chicken drumsticks are the perfect BBQ food to serve at a gathering. Simply marinate them the night before, and cook them on the grill. They’re a no-fuss finger food that will have your family/guests licking their fingers. The possibilities for marinades and flavors for chicken on the grill are endless. This beer marinated chicken with spices and lime in the marinade keeps the chicken drumsticks so juicy and tender all through the grilling that it's hard to mess them up. – Rinse and pat dry your chicken drumsticks and toss them into a zip lock bag. – Mix together all the remaining ingredients together to make a marinade. Starting with the olive oil, onion salt (or you can use finely diced fresh onion), paprika (I used sweet hungarian paprika), ground cumin, 1/4 of a teaspoon of cayenne powder (or more if you like a little more heat like I do, its fairly mild with just 1/4 tsp) and ground black pepper. – Then grate the fresh garlic cloves and squeeze in the juice of half a lime. – Pour in the beer. – Lastly toss in a handful of chopped fresh parsley and mix it in. – Once the chicken has marinated simply throw them on the grill (make sure to oil the grill so the chicken doesn’t stick) for 25-30 minutes turning over the pieces & basting it with the marinade every 7-8 minutes until the internal temperature is above 170F. Another way to check if the legs are done if you don’t have a meat thermometer, is to pierce a leg with a sharp knife down to the bone and if the juices run clear, it’s done…if it’s pink/ red then you’ll need to cook the chicken more. – Serve them up hot and garnished with some presh parsely and a squeeze of lime. Don’t forget to serve some chilled beer with these finger licking good chicken drumsticks!